I had the pleasure of attending the Southern Tier tasting at the Blue Nile last night and sampling a few of their beers, their coffee stout is delicious, I’d say even better than Summit’s Oatmeal Stout but thats not what this is about. 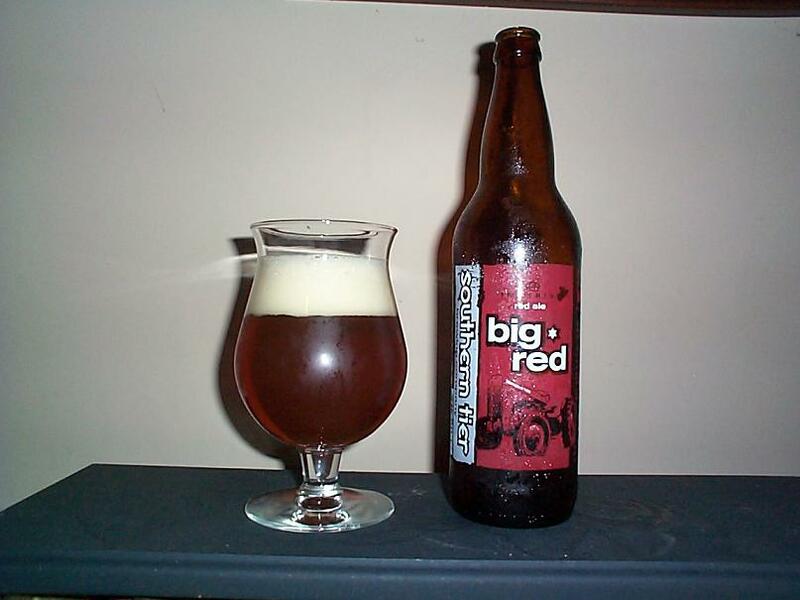 So today I am drinking Southern Tier’s Big Red an Imperial red ale. As the name suggests this beer pours a lovely red color. Head is plentiful but not too massive and light white in color. Aroma is very nice, largely of sweet malt. Their website suggests pouring this beer in a sniffer to enjoy the scent, and I understand why. Flavor is good and amazingly unbitter for its 93 IBU. Hop flavor is definitely present, but the malt profile is so intense it can be hard to tell. With the sweet malt flavor of this beer few will guess its 9.5% ABV. Mouthfeel is medium and very smooth. Though I prefer a more hoppy beer this beer certainly gets my approval and I would definitely drink it again. Anyone who likes a strong amber or a malty imperial ale will really like this beer. Give it a shot and ride your bike.